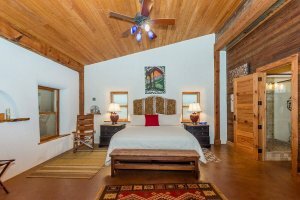 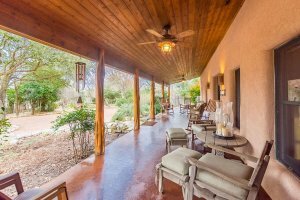 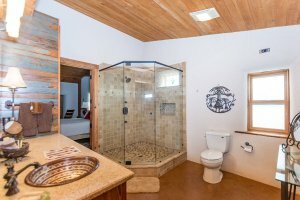 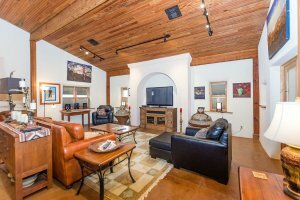 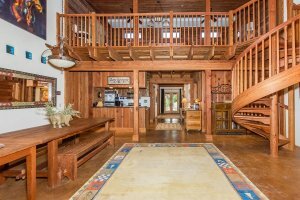 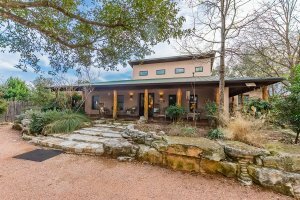 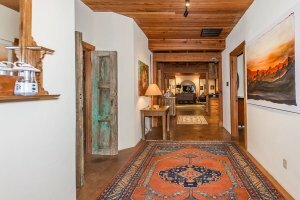 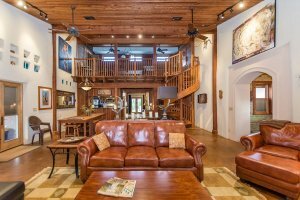 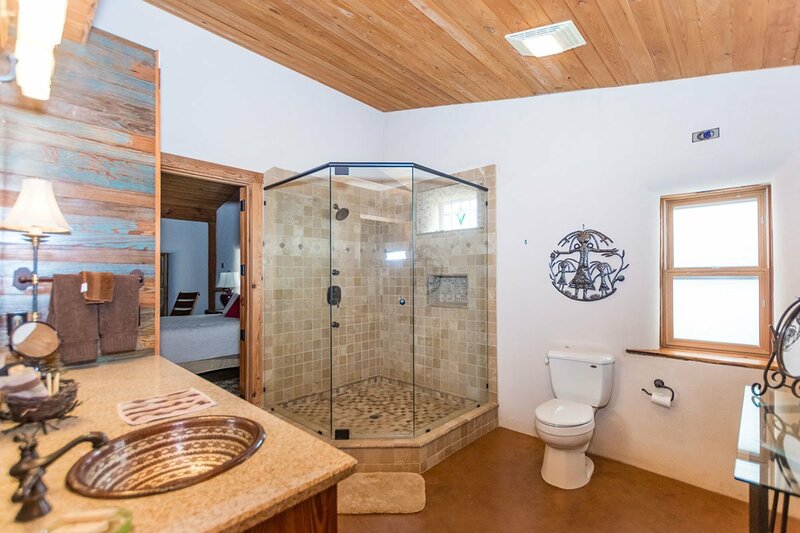 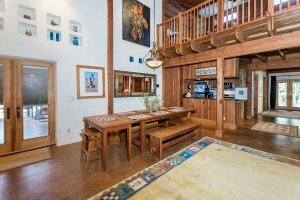 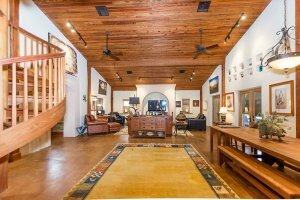 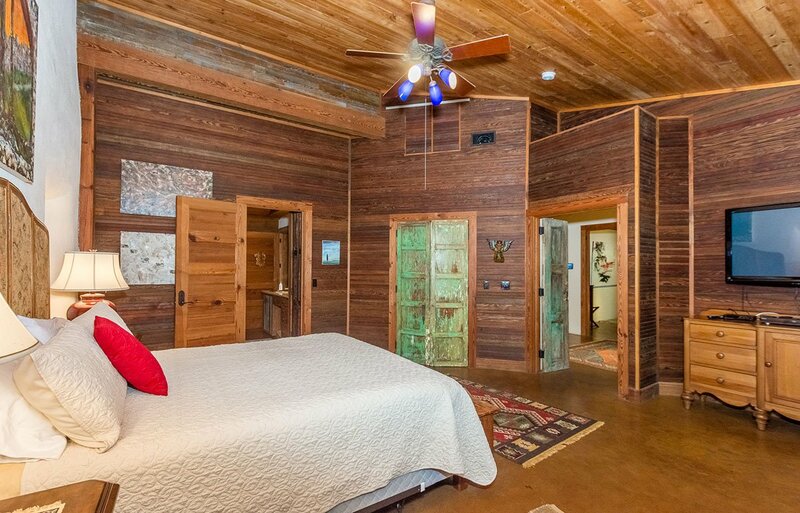 Casa Grande is a gorgeous home that has been showcased in the New York Times and Parade magazine for its straw bale construction. 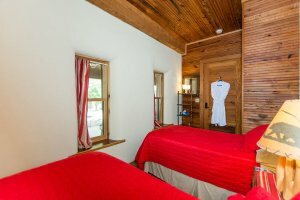 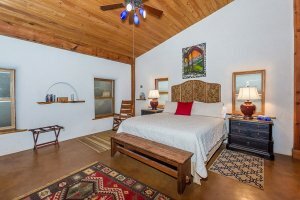 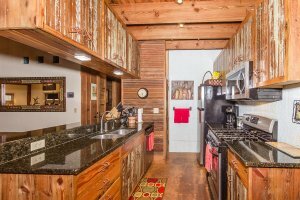 The house and the parking are completely off-street, giving an authentic feeling of the country while being just a short drive from Main Street. 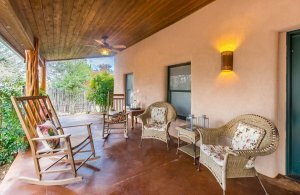 The 1100 sq ft of covered patio with cedar posts, ceiling fans and lots of seating areas including front porch rockers. 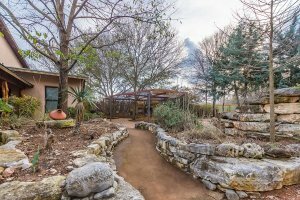 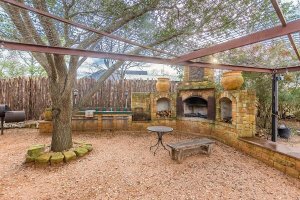 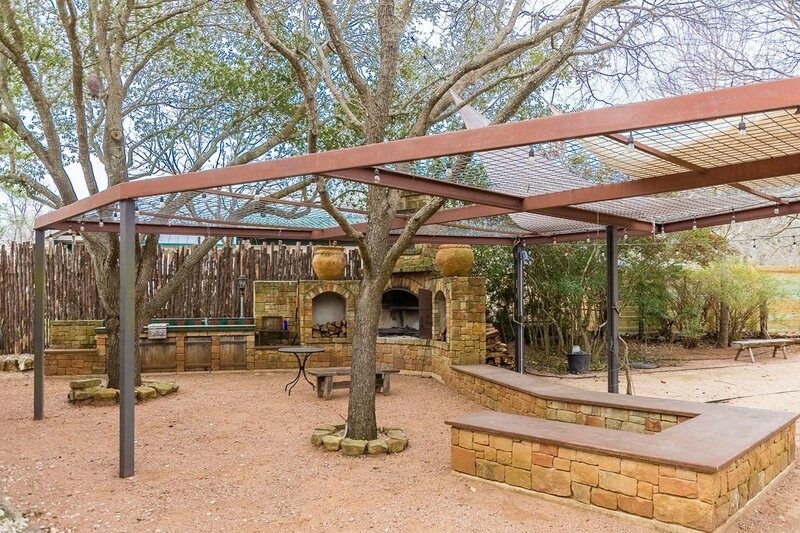 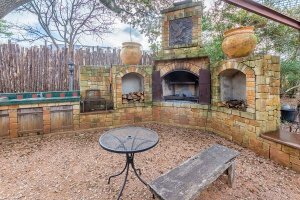 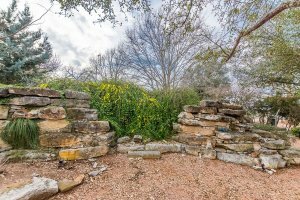 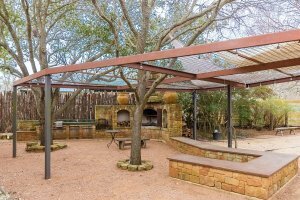 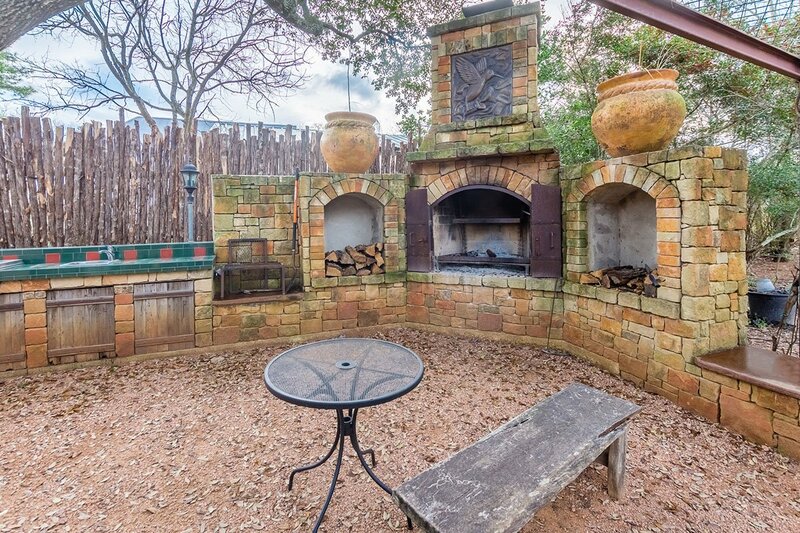 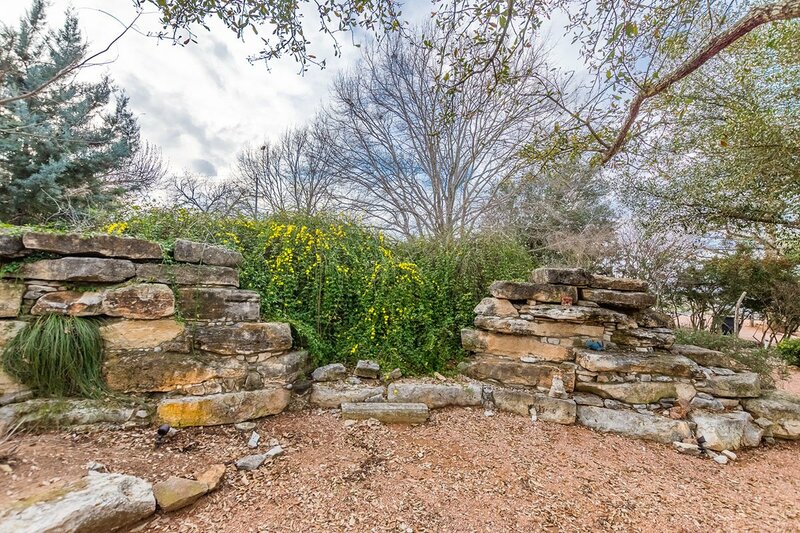 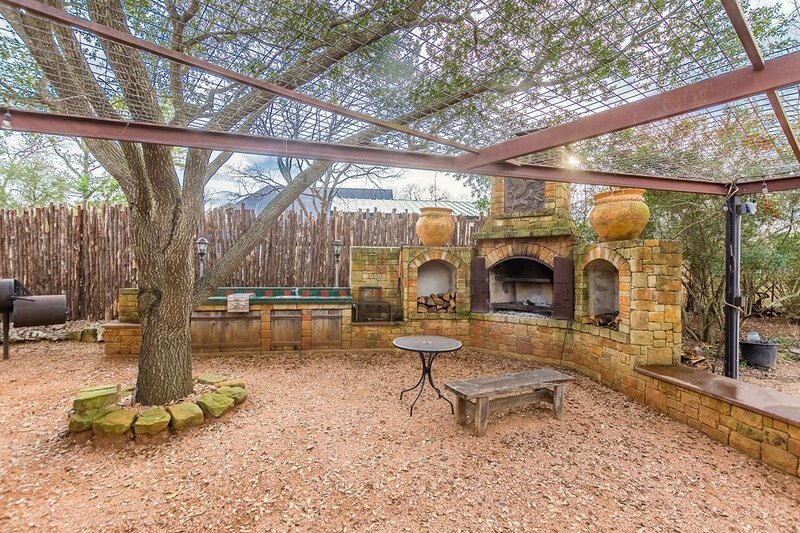 There is a large outdoor kitchen and Argentine-style grill with ample outdoor seating area perfect for watching the Bocce court activity or deer, horses, and humming birds while sipping your morning coffee or an afternoon glass of wine. 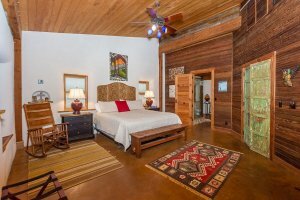 Whether you are in Casa Grande (sleeps 8), the Sundown Suite (sleeps 2) or have the whole house (sleeps 10) you will feel completely relaxed. 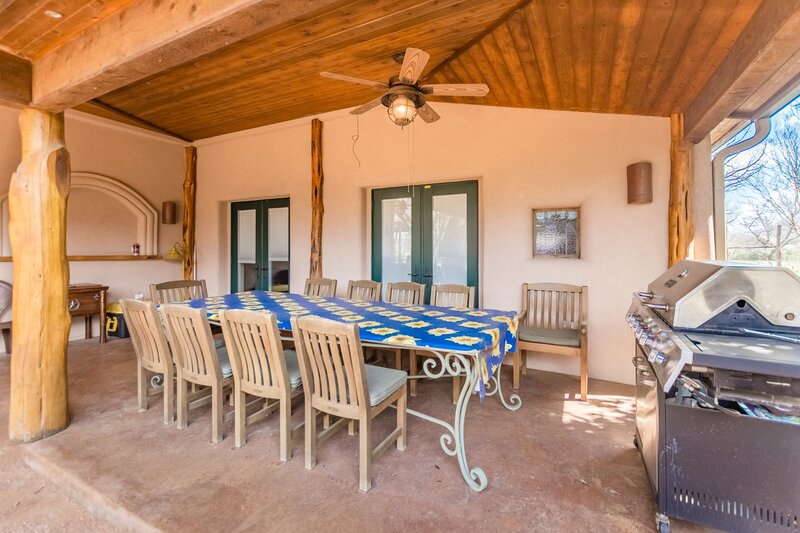 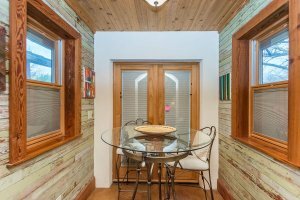 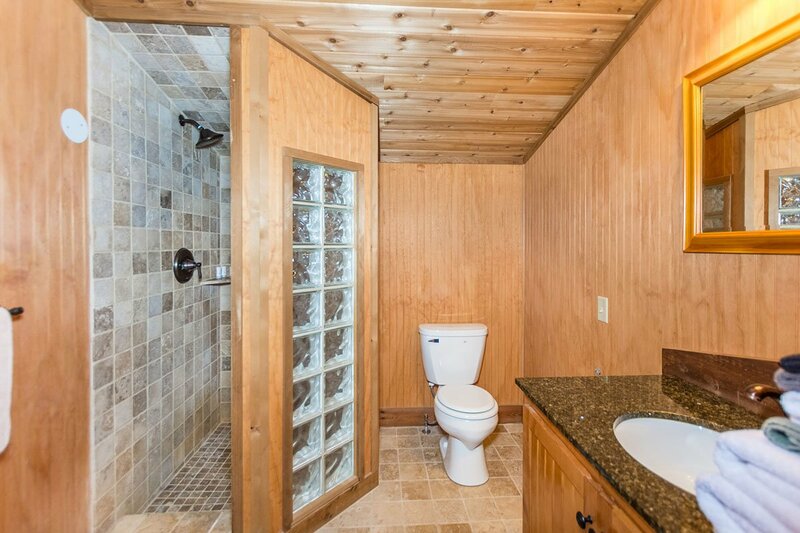 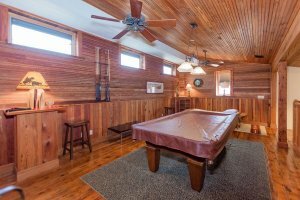 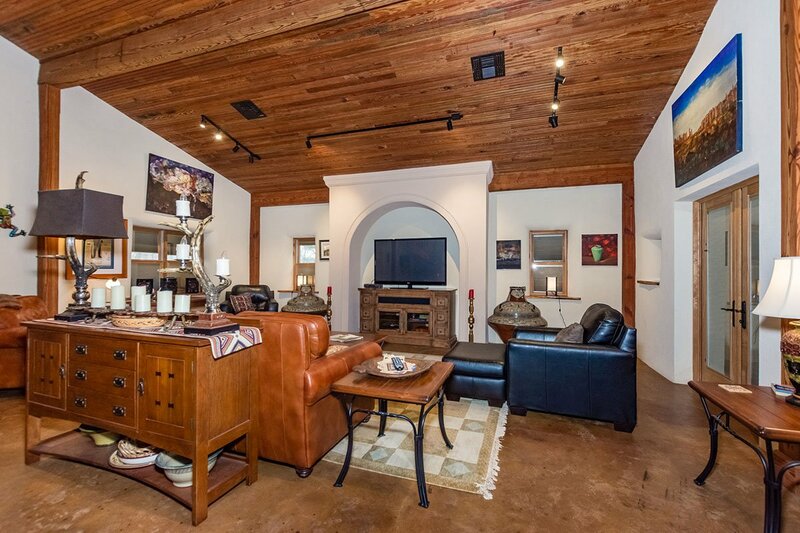 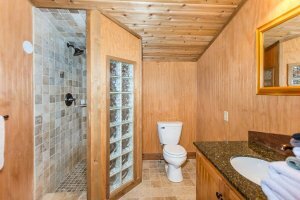 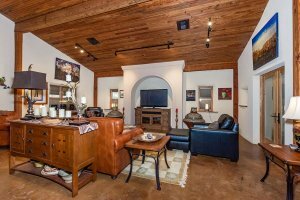 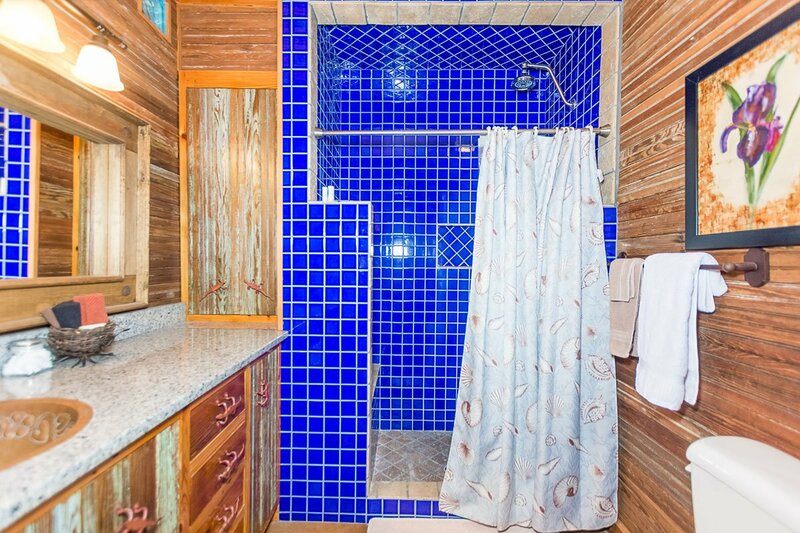 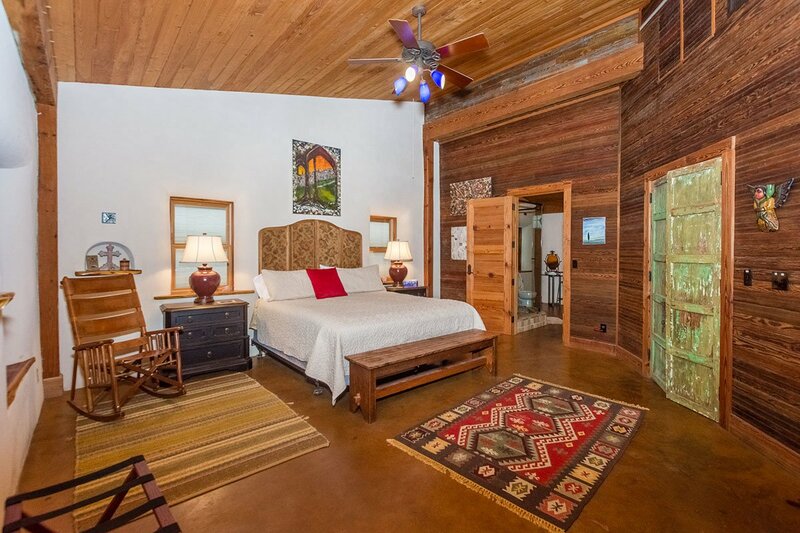 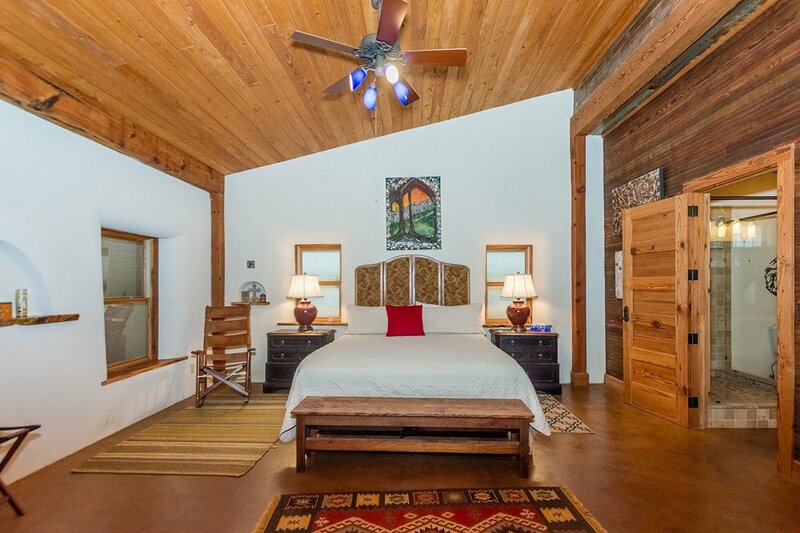 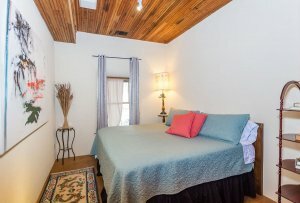 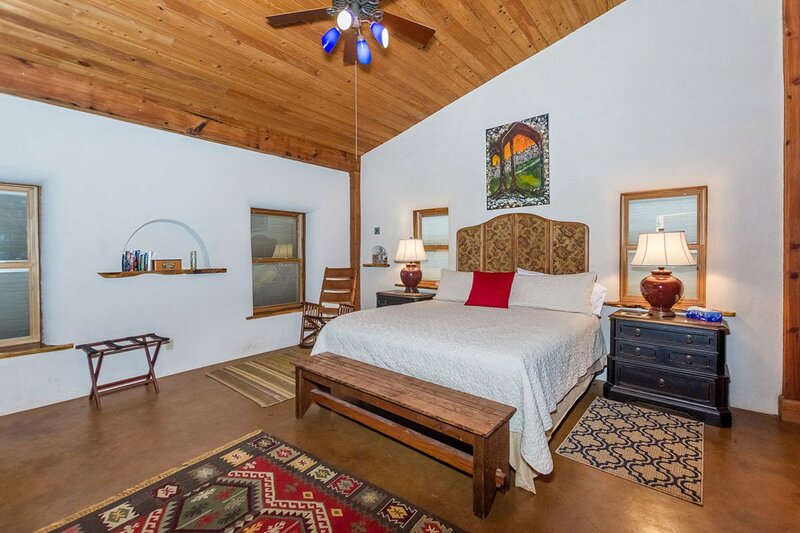 The house is designed for casual comfort and easy indoor or outdoor entertaining. 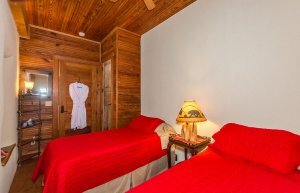 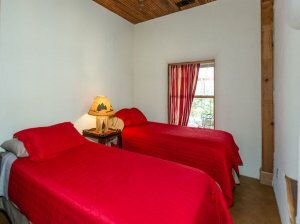 Note: You must inform us at time of booking if you would like to beds make as kings or twins.